We have created a new Internet solution for you. We have spared neither cost nor effort and installed the fastest fiber-optic cable that is available in our area throughout the whole resort. 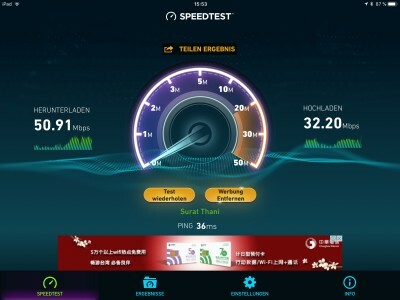 You will find many places in the resort where the internet is much faster than in the picture.